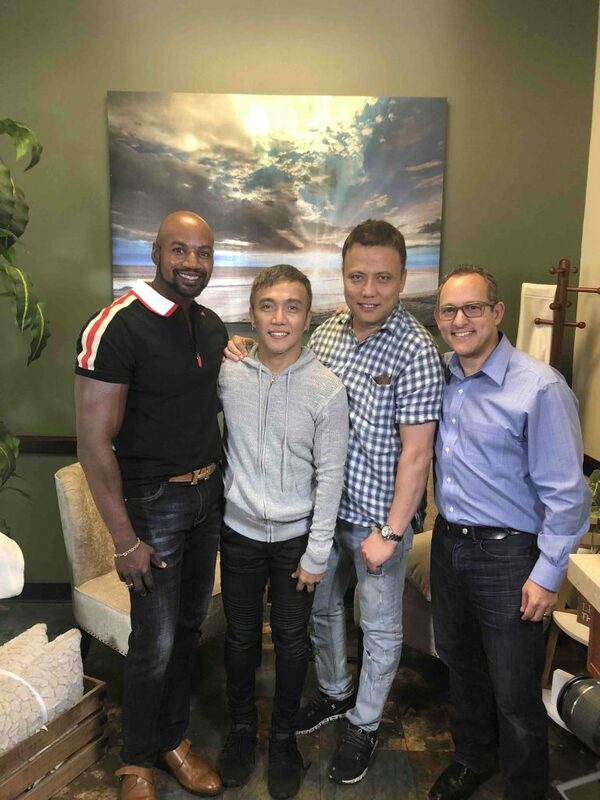 Recently, the lead singer of Journey, Arnel Pineda, received stem cell therapy at the Las Vegas R3 Stem Cell Center of Excellence. Arnel is 51 years old, and has been the lead singer of Journey for OVER 10 years now! Due to his performance jumping and leaps, Arnel suffers from chronic knee pain. In addition, performing 75 shows in only 4 months leaves the performers chronically fatigued. After meeting with Dr. Neville Campbell, who is a Double Board Certified pain doctor in Las Vegas, the decision was made to have him undergo a knee procedure along with an IV stem cell therapy. See Arnel’s story, then call R3 Stem Cell today at (844) GET-STEM. We offer free consultations nationwide! Here’s Arnel posing with Dr. Neville Campbell, his manager and R3 Stem Cell CEO David Greene.